Sponge Cola are set to hold a major concert dubbed as "Sea of Lights" as one of the bands latest album. 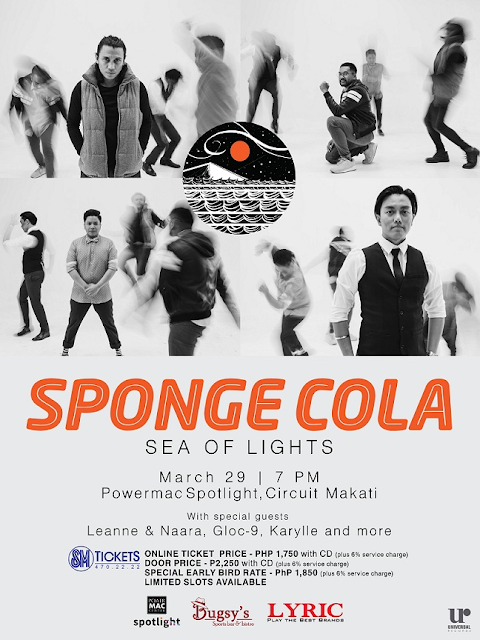 The alternative rock band will be bringing songs from biggest hits on their upcoming record and some from their old album, at the Power Mac Spotlight in Circuit Makati on Mrch 29 (Friday) with guest performances from Leanne and Naara, gloc-9, I Belong To The Zoo, and Karylle. The band composed of frontman and lead singer Yael Yuzon, guitarist Erwin "Armo" Armovit, bassist Gosh Dilay, and drummer TedMark Cruz) has been delivering non-stop hits that are already integral to many Sponge Cola supporters and OPM fans alike. 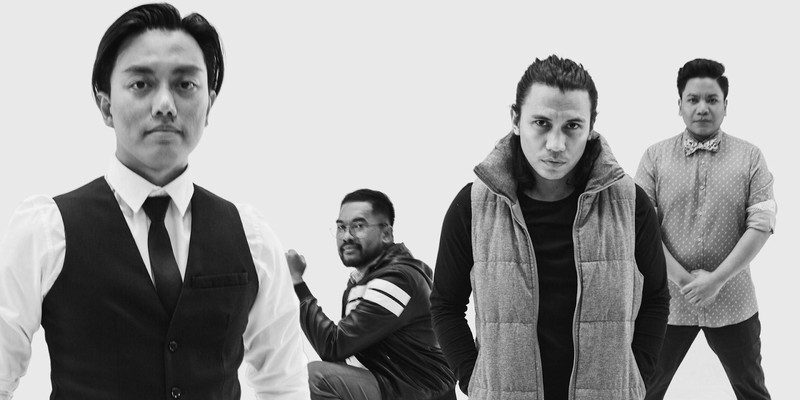 Their catalog spans all their multi-awarded albums, which include certified hits such as "Jeepney," "Gemini," "Nakapagtataka," "Bitiw," "Tuliro," "Puso," "Tambay," "Kunwari," and so much more. They have no doubt been a part of the journey of many Filipinos, may it be through teleserye soundtracks or their life soundtracks. This journey continues with the upcoming release of their latest album "Sea of Lights," a collection of songs that celebrates the sound and musical style that the band is known for, while also experimenting with new sounds into the mix. The album includes songs such as the previously released songs "Phantoms," "Paliyabin Na Ang Lahat," "Meron Ba?," "Promises (feat. Karylle)," and many more songs that will be performed live for the first time in concert. As a bonus, concert-goers will also receive a limited edition physical copy of the album. Sea of Lights includes the singles 'Phantoms,' 'Paliyabin Na Ang Lahat, 'Meron Ba?,' and 'Promises' featuring Karylle, which will all be performed live for the first time in concert. Limited edition physical copies of the album will also be given to concert-goers at the Paolo Valenciano-directed show. Tickets are available for PHP 1,750 (Online), PHP 1,850 (Special Early Bird), PHP 2,250 (Door) via SM Tickets.